I found your site in a recent search following some work I am doing in the area. I am a Chartered Surveyor and we have recently been involved with a Client who now has planning permission to redevelop the Maypole site for housing. Part of that redevelopment will be to erect a permanent memorial of the disaster on the site. We are also considering the establishment of a heritage trail when the estate has been built to guide visitors around the key points of the former colliery. It would be very beneficial to try and contact as many surviving relatives of the disaster to invite them to the site when the show house is opened. If your site can do this, then I would be pleased to be the conduit. 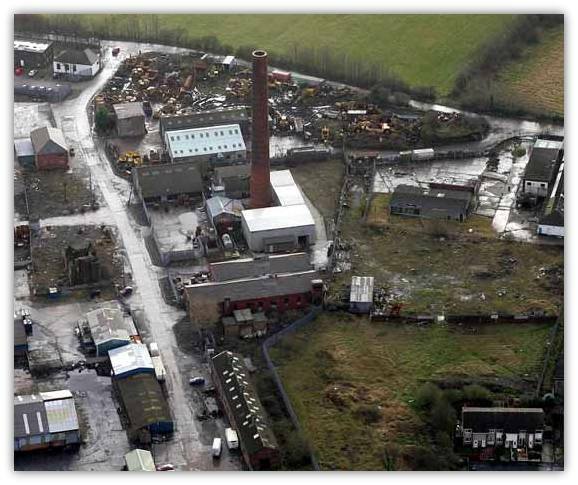 For your records, and the website, I have attached an aerial photograph of the site as it was in December 2004.